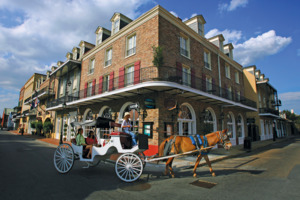 Situated in the heart of New Orleans’ vibrant and culturally enriched French Quarter, the Maison Dupuy is a magnificent city escape whose sleek designs and historical features blend in nicely amongst the residential townhouses illuminated by gas light and lined with iron fences, giving guests the distinct impression of stepping back in time to a charming century. 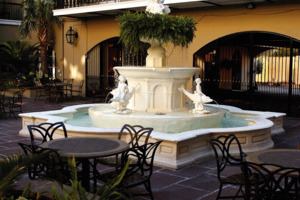 Located a mere few blocks from such highlights of the city as Bourbon Street and Jackson Square, guests can easily appreciate the idyllic setting of the hotel with the area itself renowned for its lush gardens and beautiful streets making for a great place to start and end each day. 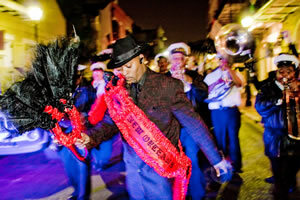 Hosting a variety of facilities, its very own elegant in-house dining venue and a wide range of accommodations to choose from, this holiday haven is perfect for those seeking to experience the wonders of The Big Easy in comfort and style. 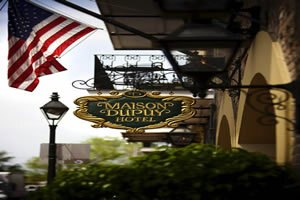 Located deep in the residential section of New Orleans’ French Quarter, the Maison Dupuy serves as a warm and welcoming city haven whose mixture of elegant designs and modern comforts seamlessly blend in with the charming townhouses that line the streets alongside iron fencing and gas lamps that gift the area with a distinct, historical ambiance unlike any other. 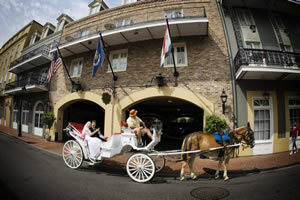 Granting guests the opportunity to discover such nearby highlights as Bourbon Street and Jackson Square, the hotel’s positioning is just one of it’s amazing features, while the in-house dining venue, plush-filled accommodations and quality facilities peppered throughout make for the perfect place for visitors to start and end each day in The Big Easy. The Traditional King Room offers guests a comfortable accommodation intricately designed with modern decor and fitted with plenty of plush commodities. The room boasts of limited views. The Deluxe Room offers guests a spacious accommodation beautifully fitted with an abundance of modern style and quality comfort to ensure traveller satisfaction. The room boasts of courtyard or French Quarter views and comes in a king bed or two double bed configuration. 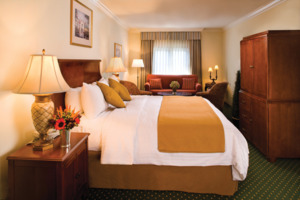 The ADA Deluxe Room offers guests a convenient accommodation furnished with plenty of easily accessed features and perks such as grab rails and roll-in facilities. 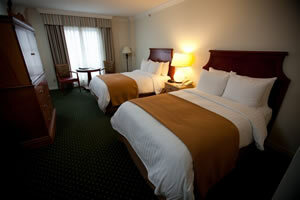 The room boasts of courtyard or French Quarter views and comes in a king bed or two double bed configuration. The Deluxe Balcony Room offers guests a spacious accommodation beautifully fitted with an abundance of modern style and quality comfort to ensure traveller satisfaction. 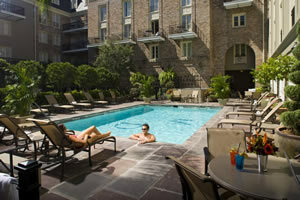 The room features a private balcony that boasts of courtyard or French Quarter views and comes in a king bed or two double bed configuration. The Parlor Suite offers guests a lavishly designed accommodation filled out with plenty of plush furnishings along with a range of quality amenities and an elegant, modern sense of decor. The suite features a separate living area and boasts of limited views overlooking the French Quarter. The Junior Suite offers guests a lavishly designed accommodation filled out with plenty of plush furnishings along with a range of quality amenities and an elegant, modern sense of decor. The suite features a separate living area and boasts of limited views overlooking the courtyard. The Honeymoon Suite offers guests an intimate accommodation filled to the brim with an abundance of comfortable commodities that come accompanied by quality amenities and a chic sense of style. The suite features a separate living area and boasts of limited views overlooking the courtyard. The VIP Suite offers guests a generously spacious accommodation fully fitted with a wide array of modern amenities to go with the plush comforts and stylish decor throughout. The suite features a separate living area and boasts of limited views overlooking the French Quarter. Bistreaux – Ease back into the comfortable ambiance of this warm and welcoming dining venue that serves local favourites and classic, seasonal dishes for breakfast, lunch and dinner.